Home > ティータイム > 一読の価値あり – The book is worth reading. 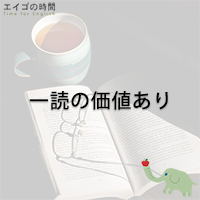 一読の価値あり – The book is worth reading. Is it worth queuing up for?